My left ankle might not ever move again on my command, and I might not be able to spread apart or wiggle my toes. I have foot drop. This is a terrifying thought to me for many reasons, as well as a fact that I might need to come to accept. Yes, I do realize that it hasn’t even been a full four months (it will be on May 6), since my life exploded (a PE, two seizures, two strokes, and cardiac arrest for an hour) in January. And, I do know that some people get movement back a year later, and some times even two years later. So, please don’t hear that I am giving up hope because I am not. But, I also want to not have my expectations up too high because stroke depression is real and I don’t want to slide into it. After all, strokes are the leading cause of long term disabilities in the United States. I am working hard every day to accept what has happened to me, and appreciate that I am still here and still have a lot going for me. This all means that I have a tug-of-war going on inside of me and it is not easy. Part of me is focused on having hope, and part of me is working on accepting what has happened to me. 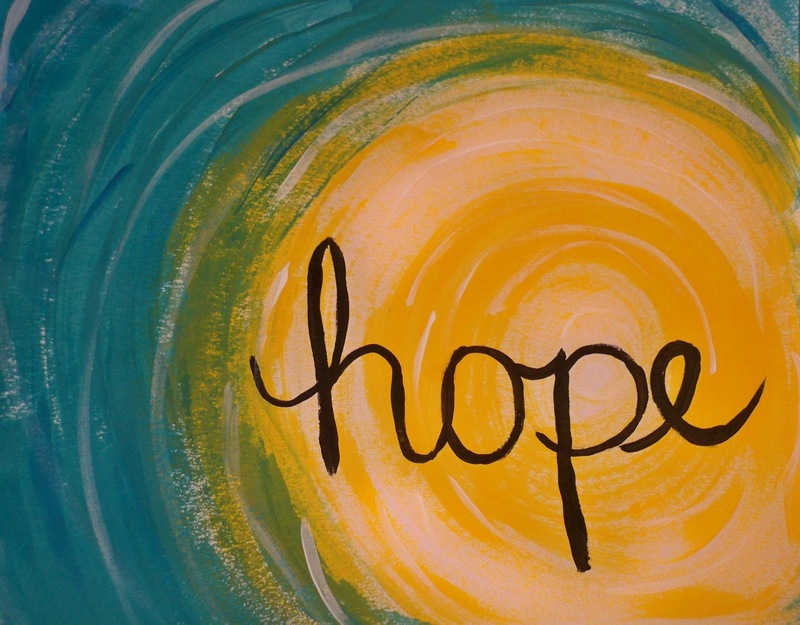 I’ve been encouraged to just focus on having hope, and I try. It is just that it is much easier for someone to say that to me than for me to do. It has been almost four months, why am I not back to normal? All of the rest of my leg has woken up, so why is my foot so insistent on sleeping? What else haven’t we tried that we can try to get it going? Did it just move, or did I imagine it? 1. I am quite protective of who I surround myself with because I need to keep having hope. I can’t spend time being around thoughts and feelings that are negative because it is too easy for me to see my situation as negative. It isn’t that I don’t share with those who are near me how I am feeling, which is often that I am sad, but I know that I need others to respond positively (which often means just being with me) even if I am crying. 2. I try hard to keep moving. My older sister said to me when I first woke up in the hospital, that the best thing I could do for my recovery is to keep moving. I am not sure I fully understood what that meant until recently, and I hear her voice in my head each time I want to just be lazy and do nothing. I’ve also recently been exploring yoga for foot drop, although I’m terrible at it–still, I am determined. 3. I journal about my feelings related to my left leg. I have never really spent time journaling about one specific part of my physical body before, but it makes sense for me to do so now. Yes, my left foot and my need to wear an AFO (ankle and foot orthotic) means that I can’t be outside like I used to, but that doesn’t mean that I can’t go outside. I try to become fascinated by my leg, and notice if it shakes and consider why that might be (am I nervous, etc). I want my left leg to remember that it is a part of my body, and needs to listen to my brain again. 4. I process through in my mind how much privilege I had when I didn’t have to think about walking, and the fact that I might be able to make a full recovery is in itself another privilege. I still have many things going for me even if I have a physical disability the rest of my life, so I will be okay if this is “as good as it gets”. 5. I can make a cane look cool…so, who cares if I have to use it the rest of my life. It helps remind me to stand taller, which is good for my posture. Still…I really want my left foot to wake up. This entry was posted in disability, rehabilitation, stroke, Uncategorized and tagged foot drop, hope, moving, rehabilitation, stroke. Bookmark the permalink. Congratulations to the Class of 2015 New Student Affairs Professionals! Thanks for continuing to share your journey, Sarah! Keep writing.